When you hear the phrase “New York Times best-selling classic,” you don’t normally think of a comic book. 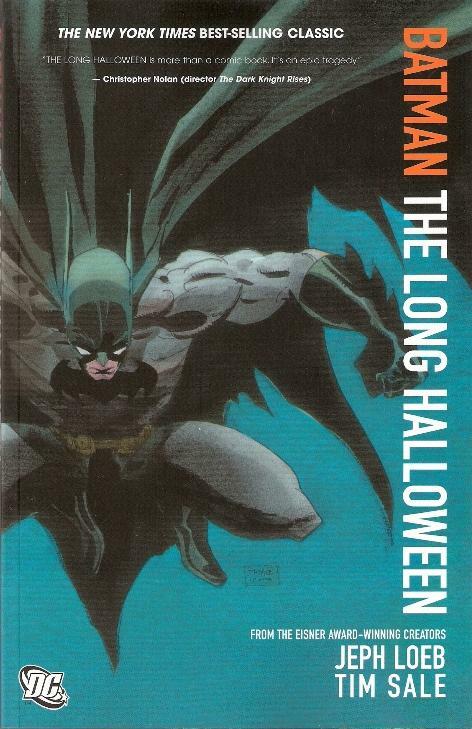 But then, Batman: The Long Halloween isn’t your average comic book. Originally published as thirteen separate comics from 1996 – 1997, and now bound together as a single volume, the Long Halloween story continues to resonate fifteen years later. Christopher Nolan, director of the Dark Knight trilogy, calls it an “epic tragedy,” while Dark Knight Rises screenwriter David Goyer names this book “the preeminent influence” on the first two films. But enough hype. Is it any good? I just finished reading it yesterday. The answer is a resounding hell yes. The story revolves around a mysterious killer, called “Holiday” for the timing of his murders: Halloween, Christmas, Valentine’s Day, April Fool’s Day. Each of the thirteen parts centers around a different holiday, starting and ending with Halloween. The identity of Holiday is a mystery through most of the book, and trust me, when you finally learn the answer, it will be a surprise. Long Halloween also tells the story of Harvey Dent’s transformation into the villain Two-Face, and boasts an impressive rogue’s gallery besides: Catwoman, the Joker, Scarecrow, Poison Ivy, the Mad Hatter, and the Riddler are all here, not to mention a few of the more exotic villains, like Solomon Grundy. But it isn’t just the supervillains on display: the story also features high drama in the mafia world, with two competing families battling for dominance of the Gotham empire. That’s a lot of story to pack into one comic book, even one that’s 384 pages long. But dizzyingly complex though the plot may be, writer Jeph Loeb weaves the many threads together with surprising dexterity. The writing is the best I’ve ever seen in a comic book or graphic novel: far better than Kingdom Come, better than The Dark Knight Returns, and even better than one of my all-time favorites, The Killing Joke. The dialogue is snappy, the characters well-drawn and distinctive. From the very first line – a grim-as-death “I believe in Gotham City,” delivered by a Bruce Wayne shrouded in night – Long Halloween takes off running and never looks back. 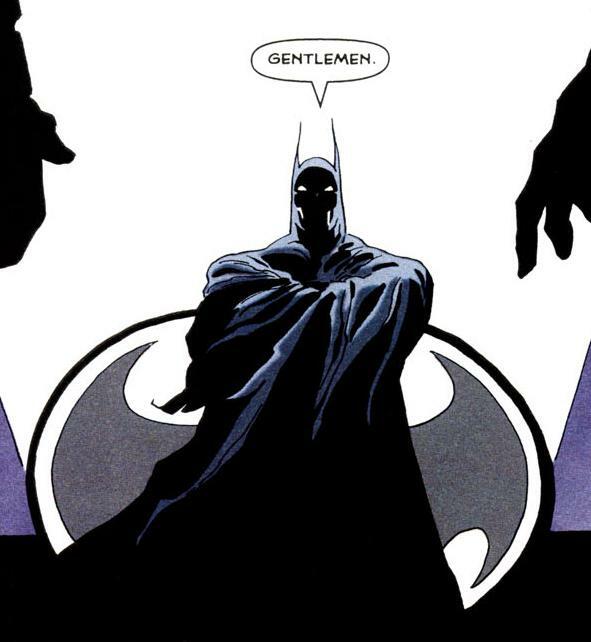 But Batman’s strongest impact has always been visual, and here, Tim Sale’s artwork does not disappoint. His gorgeous use of color and darkness makes Gotham City come alive in all its shadowy glory. 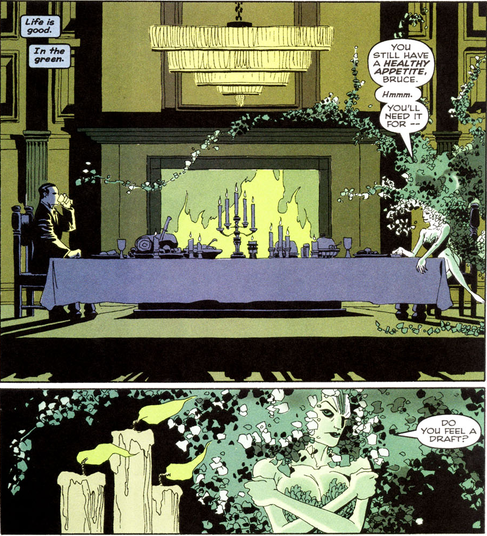 And Long Halloween‘s distinctive take on its characters’ appearance – from Catwoman’s unique costume to Poison Ivy’s leafy, prehensile hair – makes old names seem fresh again. 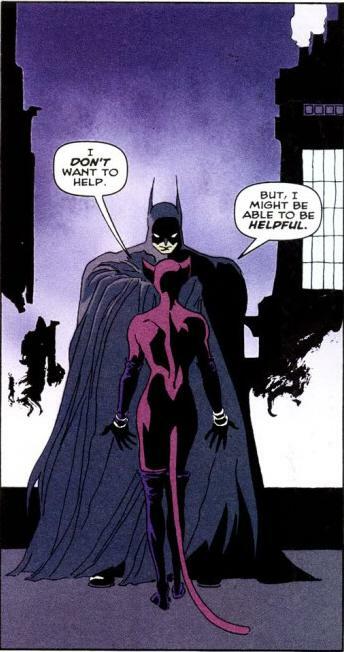 Speaking of Catwoman, her relationship with Batman is pitch-perfect here: just the right mix of flirty and felonious, never drifting too near the neat categories of hero or villain. In that respect, at least, Long Halloween completely upstages Dark Knight Rises. If you’re waiting for a downside, there isn’t one. Sure, the plot can get a little tangled at times, but that won’t dampen your enjoyment. 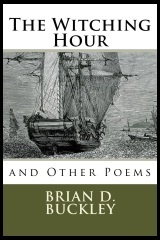 Buy this book, or borrow it from the library. Tear through it in a weekend. See how wonderfully gothic Gotham can be. This entry was posted in Uncategorized and tagged Postmortem. Bookmark the permalink. Glad you liked it. You’re right, that first page just draws you in and I love how they do the art of the murder panels as well.